Mary-Jess released a download of 'In the Bleak Midwinter' three years ago, which was available free from her website. It was to the less familiar but hauntingly beautiful tune by Harold Darke. Both versions by Mary-Jess sound beautiful to my ears. Sarah Brightman's version was too sugary for me. Tickets for Mary-Jess's "Prayer to a Snowflake" concert at Christ Church, Dumbleton Avenue, Leicester LE3 2EB on Thursday 24th November at 7.00pm are now available from Sheila Forryan, telephone 01530 245098, price £10. And in another exiting development I can announce that Mary-Jess will be supported by Katie Marshall, so it is two great singers for the price of one. I'm really looking forward to this concert, which I'm sure will be wonderful. Hope to see some of you there. Yes, John, I agree with that description of Sarah's version. Sugary. Alas, I still won't have the version I want if it's not the "right" version of the song. That must be the reason I didn't download it back then. Lovely, perhaps, but it's the same thing as when I was excited to hear Hayley sing O Little Town of Bethlehem, only to find it was to a tune I had never heard before. Just imagine if someone sang Silent Night to a new tune, would you like it? Yeah, pretty voices help, but a change to a tune people are used to can have an affect on whether people like it or not. Well, Libby, Hayley's "O Little Town of Bethlehem" is to the the tune I have known since I was a kid. When people from my church go out carol singing, as we do every year as we have done since the 1930s, (even in the 1940s with bombs falling around us I hear, although that was before my time)that's the tune we use. When we sing it in church, that's the tune we use. Other tunes, like the one Cliff Richard uses for instance, came along later. I think they use different tunes in different parts of the world. That short clip of Mary-Jess' version is nice, too, but I really want the one in the longer video. She sounded so beautiful singing it, I would love to have that version. Maybe I'll check out Sissel's. She sang that for the Mormon TC when she was on, and I remember it was very nice. Wonderful concert this evening at my own church, Christ church URC in Leicester, featuring Mary-Jess with guests Katie Marshall and the Strawhouse Singers. My first attempt at organising a concert at my own church. Hard work but worth it. Wonderful quality singing. Everyone said they enjoyed it. I might have some photos and stuff later. Well done, Martin. You arranged an amazing evening of very talented artists! 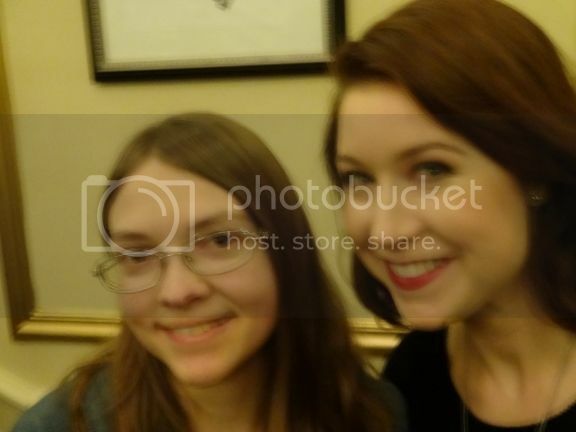 Mary-Jess was fabulous and a pleasure to meet. As was Katie Marshall, The Strawhouse Singers and the "unique" voice of Lewis Mobbs. It really was a pleasure to be there and to meet again after so long. The sound within the church was wonderful - I know you had problems to sort during the afternoon but no-one would have known. Please thank all the staff there for their wonderful hospitality too! It was good to see you and Denise again after such a long time. Glad you enjoyed the concert, I'll pass on your thanks. Yesterday was another big day for Mary-Jess. It started at about 7.15am, when Mary-Jess's recording of "The Angel Gabriel" from her new Christmas album "Prayer to a Snowflake" was played by Clare Balding on BBC Radio 2. It is unusual for me to be up at that time on a Sunday morning, but I had to drop my daughter off at Birmingham Airport and heard it on the car radio. (My daughter's gone to the west Indies. Jamaica? No, sh went of her own accord - sorry). Clare was very complimentary about it too, describing it as "absolutely beautiful". Then in the evening was the last of the 11 concerts on her "Prayer to a snowflake" tour. This was in the New Life Church in Rugby. This is quite a new church, 2 years ago their building was a car showroom! But they do have a very good sound system, microphones and speakers everywhere, and all of the performers sounded incredible. The guest acts were billed as Beth Ford (a young singer who i have heard a couple of times before) and the Strawhouse Singers. 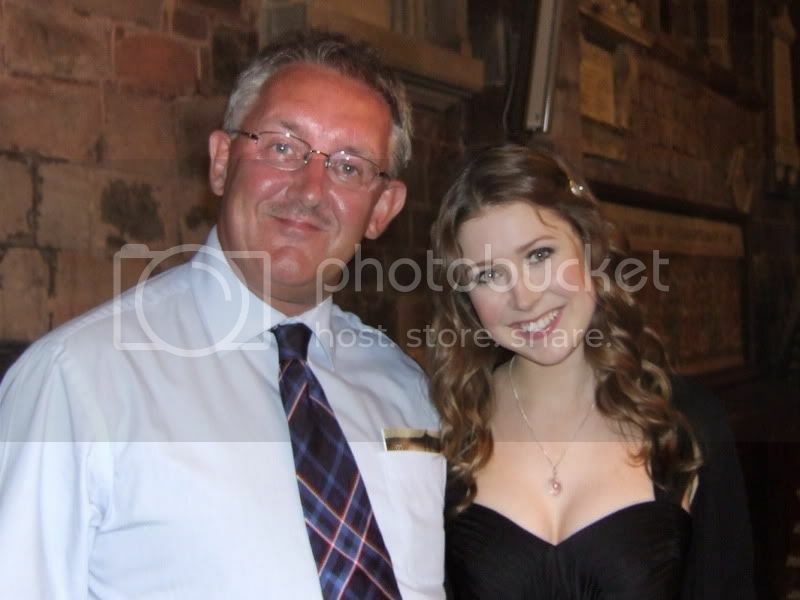 Unfortunately Beth had to pull out at short notice due to illness, and she was replaced by young Ffion Rebecca, 16 years and a former member of the Strawhouse Singers who has gone solo. She was very good, in fact the whole show was superb. Ffion has an EP coming out in the new Year and I will probably be tempted. The setlist was much the same as the other concerts on the tour, although I think the order varies slightly. Since the local pianist who backed her on some of the tracks was into jazz, Mary-Jess did a jazz version of "Silent Night", which was great. The church also has a Chinese congregation, and a numer of chinese people were in the audience, which led to Mary-Jess speaking to them in Mandarin, in which she is fluent. Both Mary-Jess and the Strawhouse Singers were in superb form. And Ffion, who i had never heard of before, is certainly one to watch. A really wonderful ending to what has been a successful tour. And the big news from Mary-Jess this evening is that she will be performing in the BBC Songs of Praise Big Sing, to be recorded at the Royal Albert Hall this Sunday. 10th September. The Big Sing was where I first saw Hayley 13 years ago, and have seen her there a few times since. 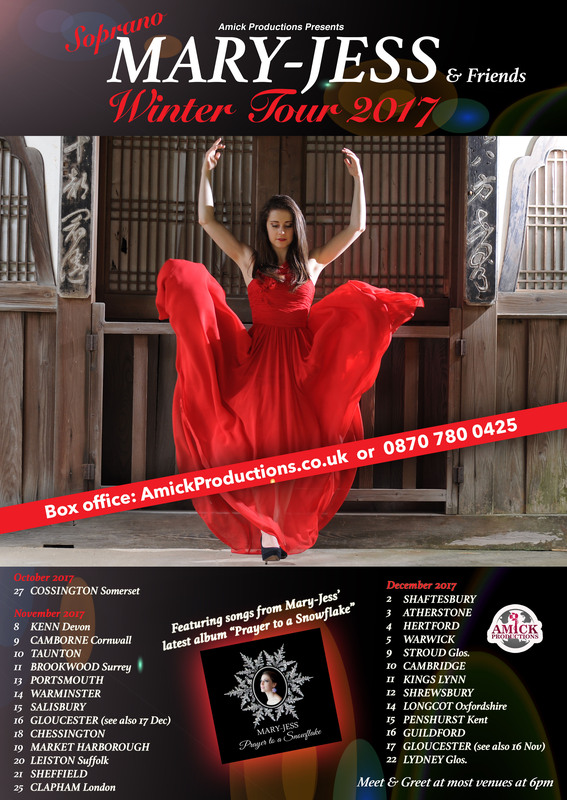 Mary-Jess's Winter tour started last week with a sell-out concert in Cossington, Somerset. I will also be going to several of the other venues, and would love to see lots of friends there.